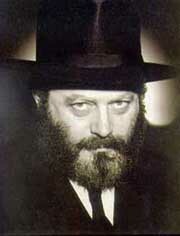 Editor's note: Every week, Chabadonline.com brings you samplings of the Lubavitcher Rebbe's perspective on issues ranging from the ageless philosophical questions to the so-called "trivialities" of everyday living. On the occasion of the 10th of Shevat — the date on which the Rebbe formally assumed the leadership of the worldwide Chabad-Lubavitch movement in 1951 — we have selected 52 examples of these teachings, corresponding to the 52 years in which the Rebbe's leadership and inspiration have worked their influence upon our lives. These range from 3-line insights and one-minute meditations to short articles and full-length essays; their common denominator is that they each illuminate a particular facet of our existence with the Rebbe's unique and revolutionary way of looking at and transforming the reality in which we live.